The Young and the Restless spoilers tease that the unexpected departure of co-executive producer and head writer Sally Sussman removes a blockade that had been in place. Y&R now has the ability to follow through with what many fans have been calling for since last September. Yes, Adam Newman’s (as most recently played by Justin Hartley) return can now be greenlighted. Sussman offered conditional rejection of this character’s revival upon her own return to the show late last year. In brief, she advised that the Christian (Jude and Ozzy McGuigen) paternity issue wouldn’t be resolved as long as an involved character (implying Adam) was off-screen. She didn’t feel there was a pressing need for Nick (Joshua Morrow) to know about his apparent son’s true biological father. 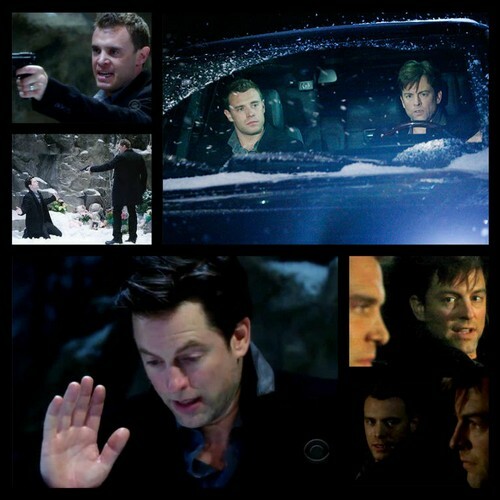 Sussman’s statement about that topic skillfully dodged the seemingly divisive issue of the Adam character and ongoing hopes, among a segment of the audience, that Michael Muhney would return to this role. Muhney has been open about wanting to rejoin the cast. He was infamously dropped from Y&R just prior to Christmas 2013. The reasons surrounding his shocking exit weren’t fully fleshed out by then executive producer Jill Farren Phelps, which naturally led to wild speculation across the digital world. However, Muhney’s later admission that his personality created problems on the set and his subsequent consideration for rehire in the summer of 2014, served to discredit rumors that were created by mostly anonymous sources. One wonders if anyone, or a variety of people connected to Y&R allowed the maelstrom that surrounded the actor to play out as a form of payback for feelings that were rubbed the wrong way? Anyone who rules out that possibility must believe that Hollywood is squeaky clean. 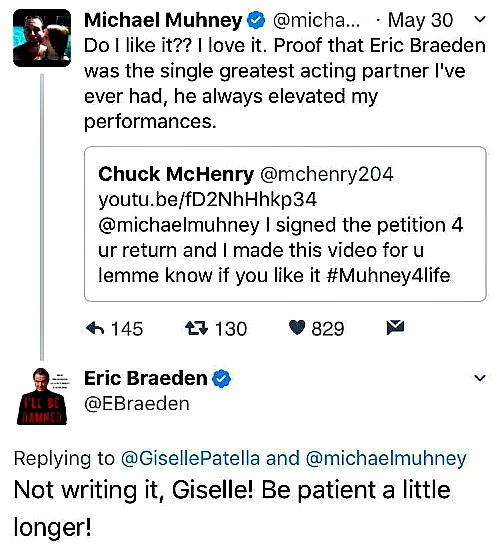 Muhney recently seemingly engaged in a positive Twitter exchange with Eric Braeden (Victor). Y&R’s longtime leading man appeared to suggest that patience was in order regarding Muhney’s desire to return to the cast. However, sharp eyes noticed that the third person in that social media exchange was a Twitter user who has a locked account. That prevents verification of said exchange by nearly every other member of that online platform. Thus a question is begged. Did the exchange actually take place? Whether Young maintaining the head writer position himself, or hiring Sussman’s replacement, it can now be argued that Adam’s return has become more likely. The same logic can be applied regarding Muhney’s ability to be rehired as well. Sussman’s influence will peter out by October’s episodes when Y&R storylines will be entirely Young’s. CDL is a leading source for everything linked to The Young and the Restless. Check back regularly for Y&R spoilers and news! Sign up for our newsletter by clicking here and get the latest breaking soap news!